What is Flakka is a bit of a mystery. It is a designer drug with frightening effects that can best be described as madness. The effects are so devastating that the appearance of this drug spurred the DEA to assign a-PVP the drug schedule I status. The primary ingredient in this drug is alpha-Pyrrolidinovalerophenone (a-PVP). It has been in production since the 60s, but has only been around since 2014. It first appeared in Florida. In the ever increasing stream of so called “designer” or “club” drugs, often produced in illegal laboratories halfway around the world, flakka, known chemically as alpha-PVP, is flooding parts of the nation and creating chaos. The active ingredient in it, which is considered a close relative to “bath salts.” It has been illegal in the United States since 2014. The New York Times reported this year, getting flakka and other synthetic drugs delivered to your doorstep is as simple as ordering it online from a manufacturer in China. Also going by the name “$5 insanity,” this drug has been the root of major problems in areas of Southern Florida. By June 2015, 27 deaths had been attributed to the drug. A white or pink, foul-smelling crystalline powder, it can be smoked, eaten, snorted or injected. The drug has an immediate effect as it floods the users brains with dopamine, a naturally occurring chemical responsible for feelings of pleasure and satisfaction. The “high” can last from three hours to three days. The full effects of this drug simply aren’t understood because the drug hasn’t been available long enough to be meaningfully tested. Almost all known effects are based on observation of individuals that have taken the drug. Some hospital observations have included basic medical testing, but not with the rigor required to make broad statements about effects of the drug. The National Institute on Drug Abuse (NIDA) reports that some users put this drug into e-cigarettes and vaporize the substance. The agency says this method of ingestion very quickly sends the drug into the bloodstream and makes it particularly easy to overdose. This type of use has been linked to many of the negative side effects listed above, as well as heart attack and suicide. However, it has done little to stop the flow of the dangerous chemicals from getting into the U.S. Healthcare professionals have seen a rise in emergency room visits in regions of the country that have seen the a lot of people using flakka. Because this drug is relatively new, there is little known about the long term effects of abuse. One study suggests that the it’s at least as addictive, if not more, than methamphetamine. As with all “designer drugs,” users really have little to no idea what “cocktail” of chemicals they’re ingesting, and the health risks are extremely severe. With the exception of the dangerous spikes in body temperature, just about all of these observed effects are not yet medically proven or understood. It is possible that some of these effects result from drug interactions rather than from the drug alone, for example. is unknown what the long-term effects of the drug might be. It is known that the drug sits on neurons for an even longer time than cocaine does, but it is not yet known whether it can destroy neurons similar to how cocaine does. This lack of knowledge makes the drug frightening beyond the rage-filled assaults that are commonly engaged in by users. The best guesses of the medical community is that it has at least as bad, if not worse, long term effects as cocaine, since it shares many similarities, both in the variety of ways it can be taken and in the duration that a high lasts based on dosage. This drug came to national attention quickly because of a number of strange news stories about individuals attacking other people and literally trying to eat parts of them. Probably in part due to the relatively low cost of the drug, about $5 a dose, multiple similar news stories came out in close succession. These stories also shared a commonality that the abusers seemed to be highly resistant to pain during these attacks and it was difficult for police to take them down. As a result, it was nicknamed “the zombie drug”. Flakka is incredibly addictive, with most evidence suggesting that it is actually more addictive than cocaine. It is quite possible, and likely, to become addicted after only a few doses. As previously noted, details beyond that are not well documented. 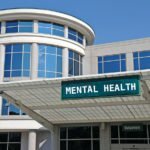 Treatment for addiction basically requires a medically supported rehabilitation facility that offers round-the-clock support. Withdrawal symptoms are similarly not fully understood, but almost all users that are in withdrawal experience extreme physical and mental pain, high levels of fatigue, paranoia levels equivalent to those experienced when taking the drug, and uncontrollable cravings for the drug. It is next to impossible to quit this drug cold turkey.